Leaky Squid: THE BEST FACEBOOK APRIL FOOLS DAY JOKE EVER! 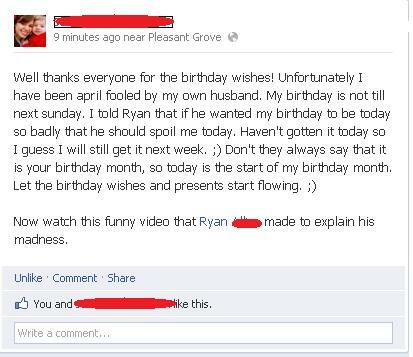 THE BEST FACEBOOK APRIL FOOLS DAY JOKE EVER! She Did have a Sense of humor!! QUICK WHAT YEAR DO I SET MY #TIMEMACHINE TO?